Should students get half credit for assignments they did not even complete? 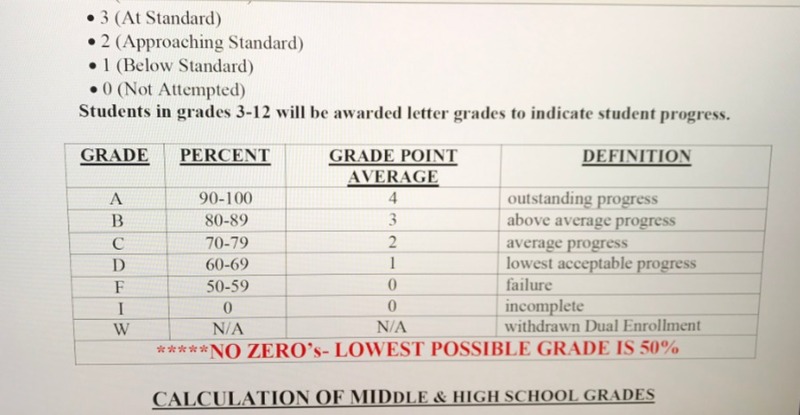 This Florida teacher refused to comply with this policy and was fired. Diana Torado has been a teacher for many years, but just started at West Gate K-8 school in August as an eighth grade history teacher. Her students were given two weeks to complete an explorer notebook project. Several students did not turn in the project. Torado was informed about a “no zero” policy which is shown in the student handbook. The handbook states there are no zeroes and the lowest possible grade is 50%. “Diane Tirado was employed as a teacher for St. Lucie Public Schools (SLPS) from July 30, 2018 to September 14, 2018. 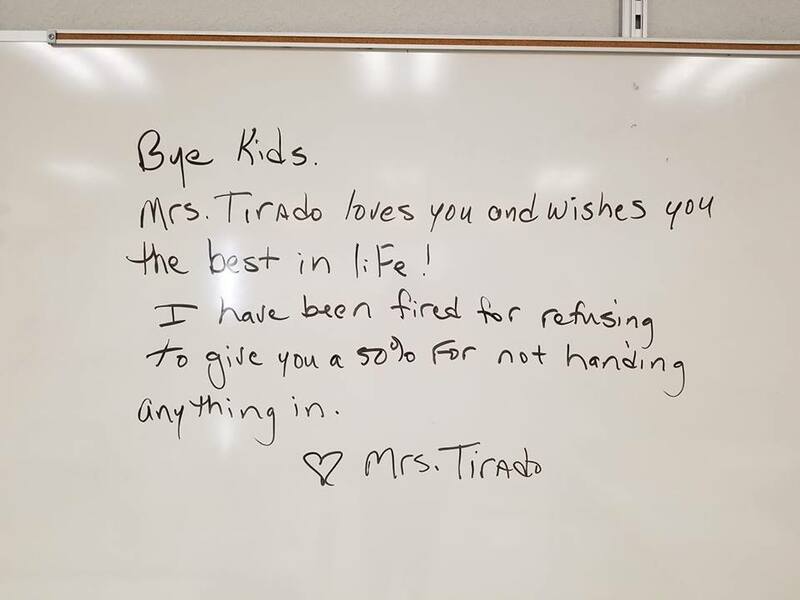 She was contracted as a teacher on probationary status, and was terminated shortly after one month of classroom instruction. So what do you think? Should a student get 50% despite turning in nothing? That seems absurd to me. Let us know what you think in the comments.